Life, Doctor Who & Combom: Time Revealed for The Day of the Doctor? Time Revealed for The Day of the Doctor? BBC America has reportedly revealed the American broadcast time for the 50th Anniversary Special, The Day of the Doctor, when posting its November advanced schedule online. While the date of the broadcast is known to be November 23 (the actual anniversary of Doctor Who), the time it will air has not been confirmed thus far. However, if BBC America's schedule is correct, it appears the special will broadcast in North America at 2:45 p.m., Eastern time. This would put the UK broadcast at 7:45 p.m., squarely in the prime time period. However, BBC America has indicated that the 2:45 p.m. listing is a "placeholder" until the exact time is locked down. 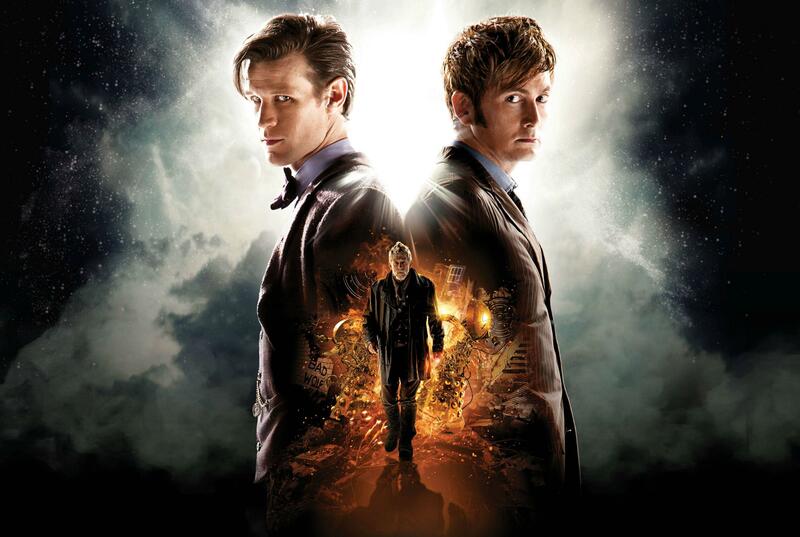 The network intends to fill its schedule with other Doctor Who programming in the week leading up to The Day of the Doctor, including the U.S. premiere of An Adventure In Space and Time (tentatively scheduled for Friday, November 22 at 9:00 p.m. in the United States) and various episodes and documentaries, but at this time that schedule has not been finalised. And still no trailer for the 50th.